Sometimes the best dishes are the simplest ones. Recently I’ve been feeling full. Not in a “I just ate a big meal” sort of way–more like a constant feeling of fullness that has resulted in me gravitating towards lighter, easier meals. One of my favorite veggies is cauliflower and after work the other night I showed it some love. This is now my go-to dinner but would be just as wonderful as a side dish for those of you who require meat with your dinner. One note I will make is that because this dish is so simple, using high quality ingredients is a must. Use that fancy salt you bought on a whim but never touch, take the extra second to crack fresh pepper over the top of your meal, and indulge in some fine olive oil. You won’t regret it. Bring a pot of salted water to a boil. 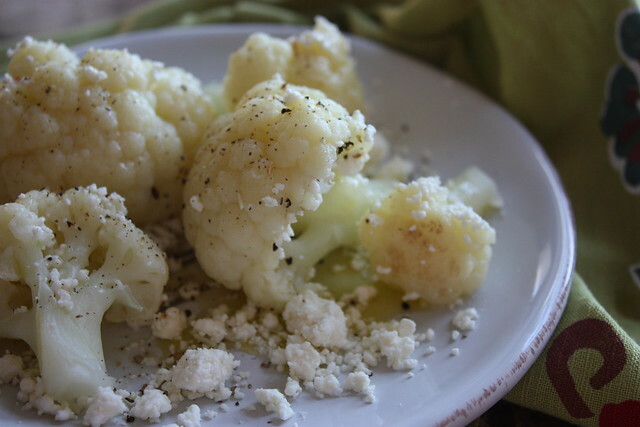 Add your cauliflower and cook until fork tender. Remove your cauliflower using a slotted spoon. 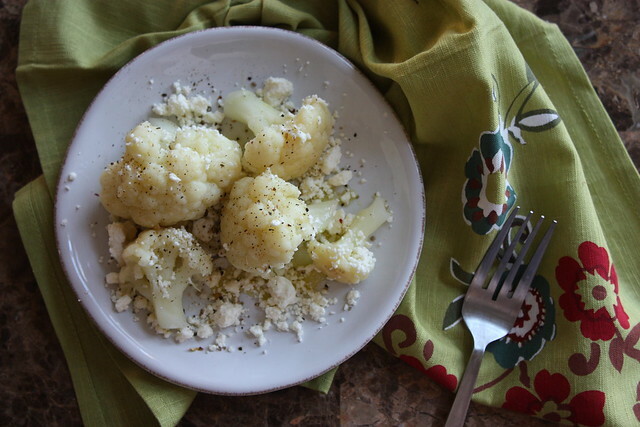 Drizzle with your olive oil and top with your feta and your fresh salt and pepper. I didn’t include measurements in this recipe because you can make as much or as little as you desire. Go ahead and cook from your heart on this one!